I know, the sun is shining and you’re not really in Christmas mode, but like us those busy buyers from the large stores have to turn their minds to Christmas early. So here it is! We have a wonderful new addition to our best selling Christmas chocolate snowlgobes – Our milk chocolate Reindeer with white chocolate snow flakes. 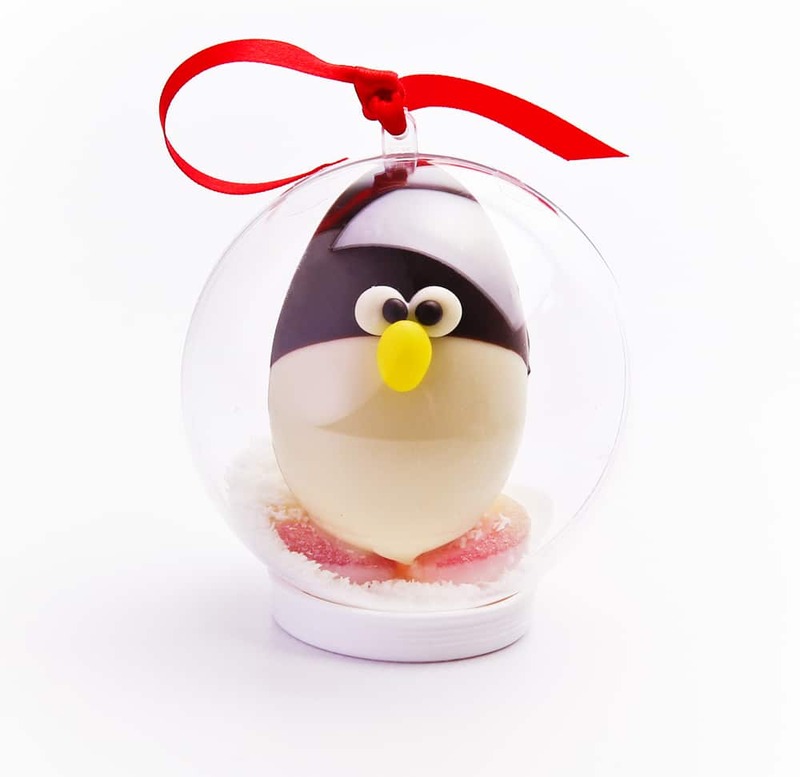 We’ve also brought back our famous Penguin and Robin chocolate snowglobes. 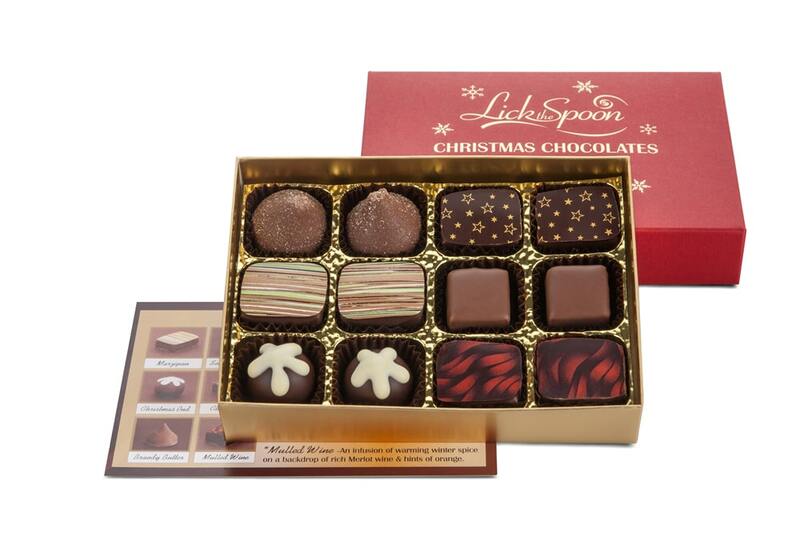 Our Christmas Chocolates collection was a huge success for us last year and it makes a welcome return for 2015. Featuring mulled wine and brandy butter ganaches as well favourites such as Marc de Champagne and our signature award winning Sea salt pralines the Christmas chocolates collection is presented in a foil blocked red linen feel box making it a beautiful gift. Our Great Taste award winning chocolate Salami comes in two varieties, the Classic Fruit and Nut chocolate Salami laced with Rum and Brandy and enrobed in Madagascan dark chocolate, and the slightly sweeter Peanut Caramel version in milk chocolate. Such is the popularity of our Chocolate Salami that we’ve purchased a brand new 180kg mixer – christened Mickey (the mixer) to help save our biceps. 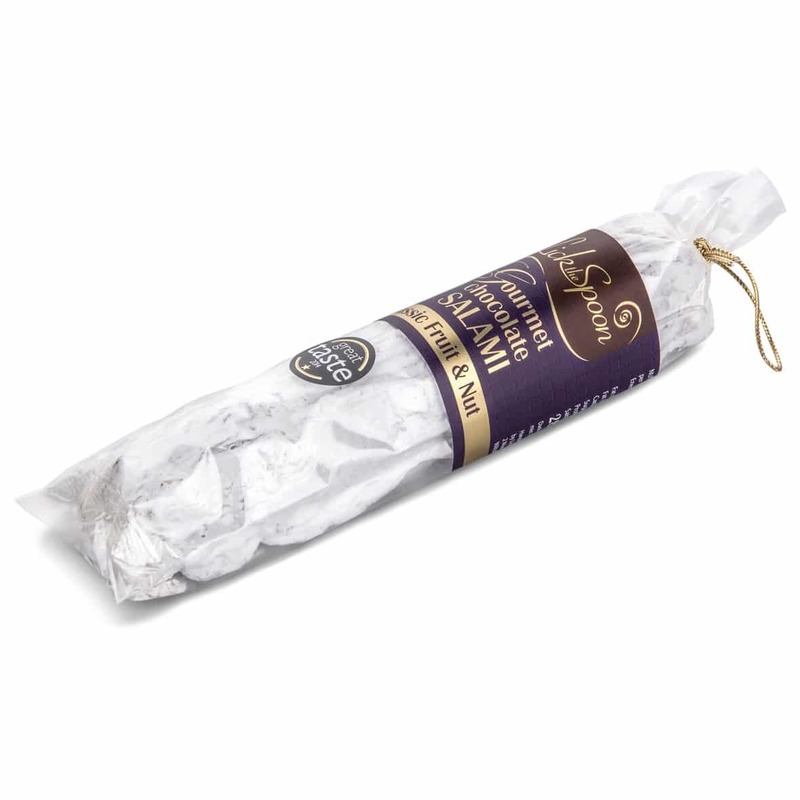 Both chocolate salamis are extremely delicious and make a fun and original gift. 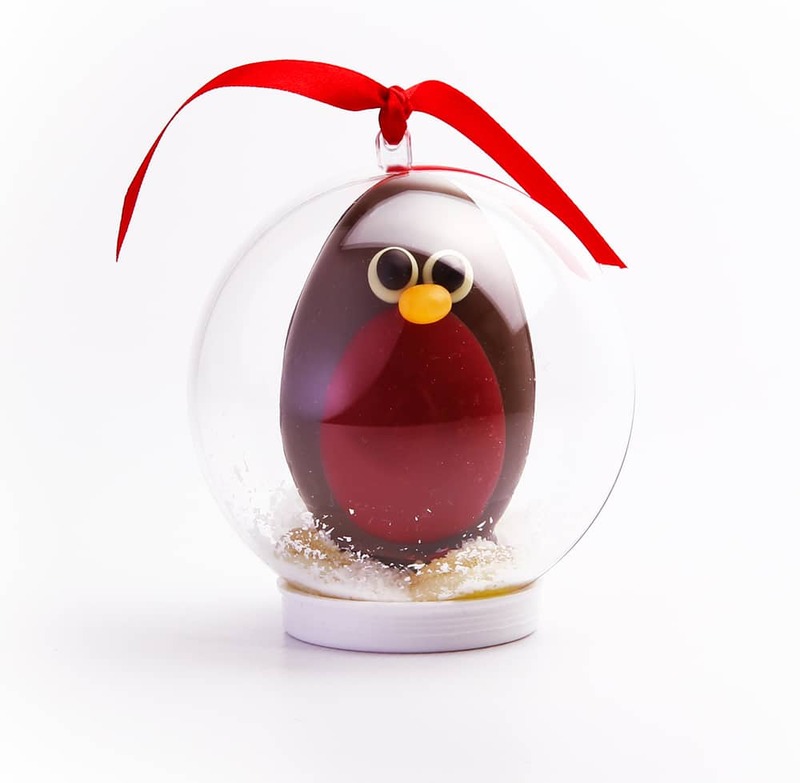 Our Christmas fruits collections include Honey poached baby figs in a brandy ganache, Apricot pate de fruits on an armagnac ganache and morello cherries macerated in kirsch in fondant and dark chocolate. 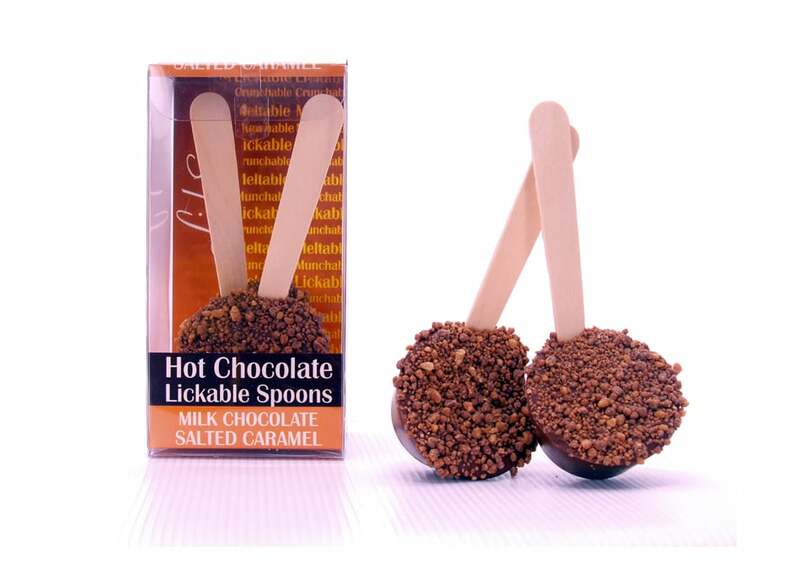 featuring our famous Lickable Hot Chocolate spoons and Christmas chocolate favourites such as Stem Ginger in Dark Chocolate, Candied Orange in dark chocolate and our award winning honey comb. 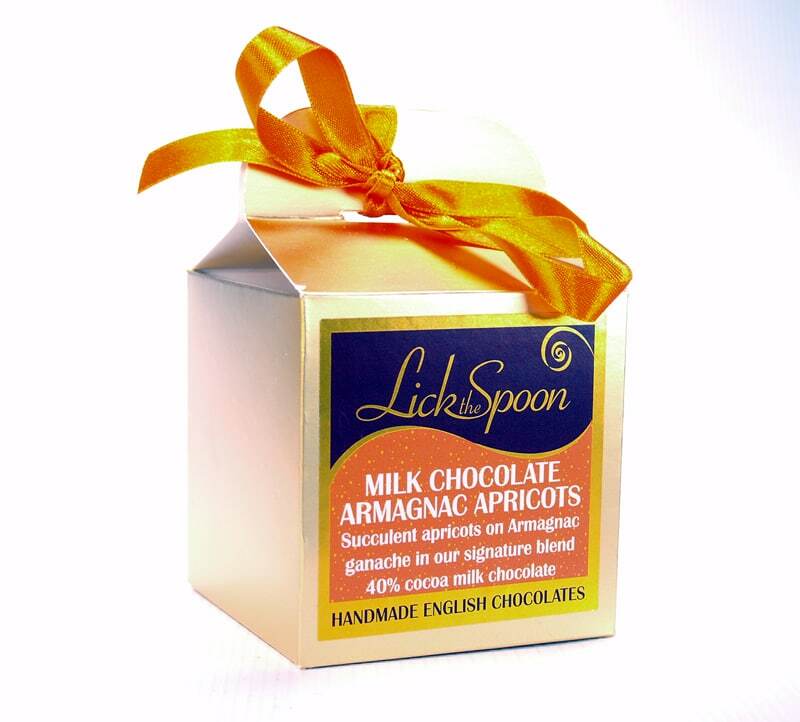 As everyone who stocks our Lickable Spoons knows they are the best seller at Christmas. Perfect for secret santas and stocking fillers. 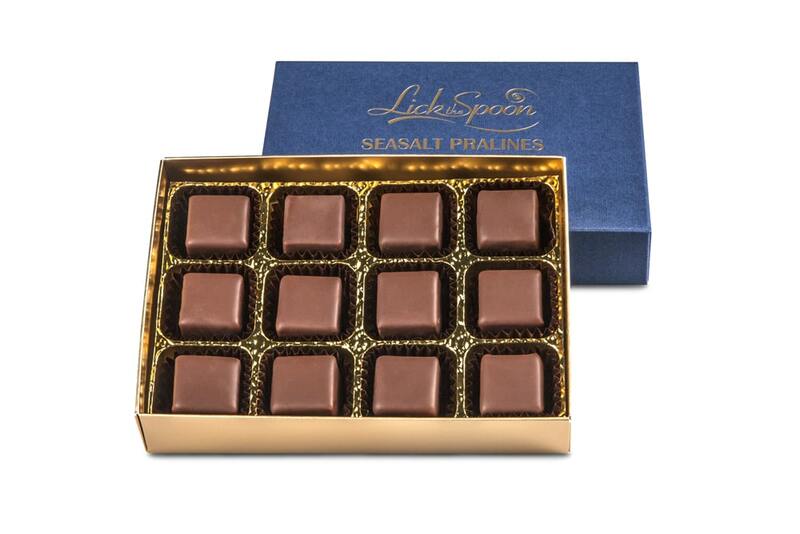 We’ve also packaged our famous Sea Salt pralines and Marc de Champagne truffles in new foil blocked boxes presenting a range of beautifully packaged naturally longer shelf life boxed chocolates together with Rose and Violet creams, Halva Chocolates and Sea Salt Caramels. A subsection of our wholesale range is available through two distributors this Christmas, Diverse Fine Food and The Cress Company. Though both distributors cover the whole of the UK Diverse are particularly strong in the South-West and The Cress Company in Scotland, the North of England and the South-East.